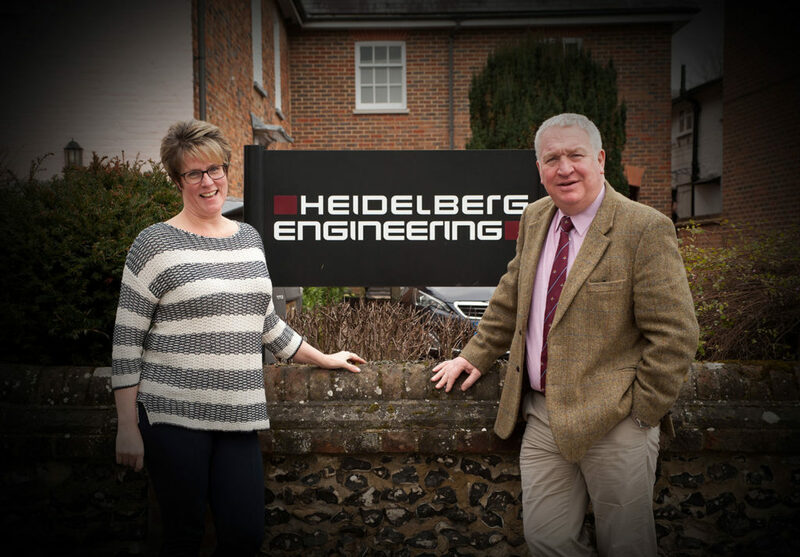 MP Sir Mike Penning visits Heidelberg Engineering | Heidelberg Engineering Ltd.
Hemel Hemstead, UK – Sir Mike Penning MP marked the start of World Glaucoma Week (11-17 March) when he called into his Hemel Hempstead constituency company Heidelberg Engineering which provides scanning technology for advanced eye health check. 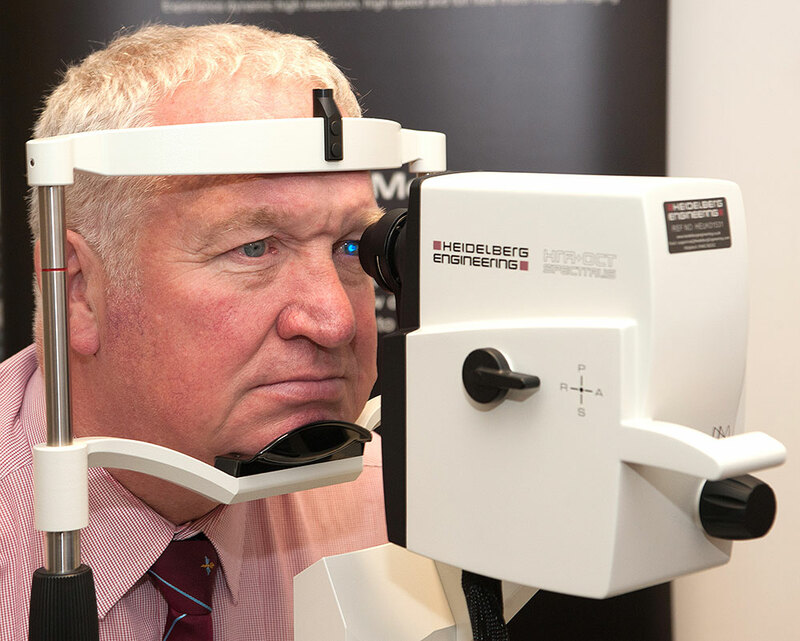 Sir Mike had his eyes examined on the SPECTRALIS OCT (Optical Coherence Tomographer) which can reveal the first signs of eye disease years before they might become apparent to the patient. He was delighted to learn that he showed no signs of developing glaucoma – a leading cause of preventable blindness. Sir Mike toured the company’s training centre, met staff and learned about the company’s mission to support a sustainable healthcare model that devolves early detection and monitoring of eye disease into the community. This would facilitate treatment at the right time to combat avoidable sight loss. “As Sir Mike has a keen interest in healthcare, it was a great opportunity to discuss the effects of vision loss and the tremendous opportunities to use the latest image management technologies to reduce the growing burden of an ageing population on the health service with distributed care models,” added Krysten. Visit www.spectralis-eyehealthcheck.co.uk to find out more about the SPECTRALIS eye health check for glaucoma.